I’m in an Jane Austen mood these days. I started Mansfield Park a week ago and really like it. Much better than most of the other Austen novels I’ve read so far, with the exception of Pride and Prejudice (I haven’t read Persuasion yet). When I came across a review of Shannon Hale’s Austenland on Anna’s blog (Diary of an Eccentric), I knew it would be just the thing I’d enjoy right now. I wasn’t wrong. Austenland is absolutely charming. A fun, fluffy read, with which I spent a few pleasant hours. I’m very wary when it comes to Austen fan-fiction and other than The Jane Austen Book Club, I’ve never been tempted. It’s maybe not surprising that the only other book of that type which tempted me, has also been made into a movie. Now that I read the book, I’m sure I’ll watch the movie Austenland as well. Jane is a 30 something graphic designer from New York, who never seems to find the right man. Possibly because she is obsessed with Mr Darcy. Not the Mr Darcy from the book but the one from the BBC production starring Colin Firth. When her rich great-aunt dies she leaves Jane a trip to an expensive English resort that caters to the Jane Austen obsessed. Here Jane will have the opportunity to live exactly as they did in Regency England. She will have to wear the proper clothes, behave and talk like a Regency woman. To make the experience authentic, they live on an estate and are surrounded by actors who behave like authentic Regency people and pretend to fall in love with them. It seems only women book a holiday at this resort and besides Jane there are other American women. Jane hopes that after immersing herself fully in Austenland, she’ll be able to abandon her Darcy obsession and move on. Although Jane has read all the Austen novels many times, she isn’t very familiar with Regency England and has to learn a lot. If she doesn’t behave properly or disregards the rules, she could end up being thrown out. Reading about Jane’s many faux pas and slow progress isn’t only fun but it’s instructive as well. While I know a few things about Regency England, I don’t know enough and reading Austenland made me understand quite a few aspects in Mansfield Park much better. Austenland is also a romance and it’s fun for the reader to guess which man is an actor and who might be a real person and with whom Jane will end up. The end is a bit over the top but I liked it anyway. If you love Jane Austen and want to try one of the many books inspired by her, this is an ideal choice. It’s short and entertaining. Have you read and liked any books inspired by Jane Austen other than this and The Jane Austen Book Club? Recommendations are welcome. I wouldn’t mind reading another one some day. This does seem like a very clever idea. Of course such a resort would be brimming with potential problems and emotional bumps and catastrophes. Such a situation has such literary potential even if on the light side. I’m an Austen Purist, so I tend to get annoyed by Austen knock-offs. It seems like sacrilege especially with ZOMBIES and other disgusting elements. I did, however, read the Jane Austen Book Club and it was surprisingly good. There’s a new one out: The Missing Manuscript of jane Austen by Syrie James which is getting some good reviews. I don’t care for sequels and prequels and what not and the Zombie thingy did really not appeal to me bu this book, like The Austen Book Club is actually about something else, about people who love her and how it affects them. I guee that’s why it worked for me. The book I mentioned is about a yr old, it seems. I read The jane Austen Book club almost against my will, so the fact that I walked away thinking well of the book says a lot. It’s a book for book lovers, I guess that’s why it appeals to so many. I don’t think you’d like Austenland, it’s quite different but I don’t think you were planning on reading it. I’ve looked up the one you mentioned and might give it a try. Nice review, Caroline. ‘Austenland’ looks like an interesting book. Nice to know that it gives authentic information on Regency England and it enriched your reading of ‘Mansfield Park’. The only Jane Austen inspired book that I have read is ‘The Jane Austen Book Club’. I have ‘The Independence of Miss Mary Bennet’ by Colleen McCullough which I hope to read sometime. I will look forward to reading your thoughts on ‘Mansfield Park’. I haven’t read the book, but have watched the movie version many times and liked it very much. I’m clearly not very knowledgable when it comes to the Regency period, someone else my already know all the information but I was glad that I was instructed while being entertained. I haven’t heard of The Indepndence of Mary Bennett. Thanks for telling me. If you get to read ‘The Independence of Mary Bennet’, I would love to hear your thoughts, Caroline. It continues the story of ‘Pride and Prejudice’ from Mary Bennet’s point of view. I will let you know but it might not be right now. I will direct your attention to Paula Marantz Cohen, author of Jane Austen in Boca and Jane Austen in Scarsdale, gentle, amusing, fond of literature, attentive to life. Thanks a lot. These sound like great suggestions. I’ll have to look at your review. I really hated Austenland when I read it. I seem to be the exception but ugh I am starting to think that I should reread it and give it another try.. As for the movie, I have my fingers crossed that it will be released in Europe, as that trailer looks funny. How funny, I thought I had read a review on your blog but when I looked for it yesterday I couldn’t find it. Why bother re-reading it. It was not for you. I think the books Guy and Tom mention would be far more likely to appeal to you. I think the movie might be even funnier. I’m glad you enjoyed this book. I thought it was a lot of fun. It’s about Austen but different from the Austenesque or fan fiction books that retell or continue the original novels. As you know, they are my guilty pleasure! Definitely Not Mr. Darcy by Karen Doornebos was hilarious as well. That one is about a Regency reality dating game show, and the women are not allowed the modern comforts that they were allowed in Austenland. I was glad I’ve read this Anna. Thanks for the recommendation. I must admit I’m biased when it comes to retellings or sequels but I haven’t read any, so maybe I’m quite wrong. I’d be interested to know which is your favourite. I really hope you get a chance to read Persuasion. It’s my second favorite, after Emma. As for the retellings and sequels, I loved the 2 George Knightley, Esquire books by Barbara Cornthwaite and Old Friends and New Fancies by Sybil G. Brinton. If you decide to read some and want additional recommendations, just let me know! I liked Emma but it didn’t impress me but then again I read it after watching the movie which isn’t ideal. I’ll be reading Persuasion soon I think. 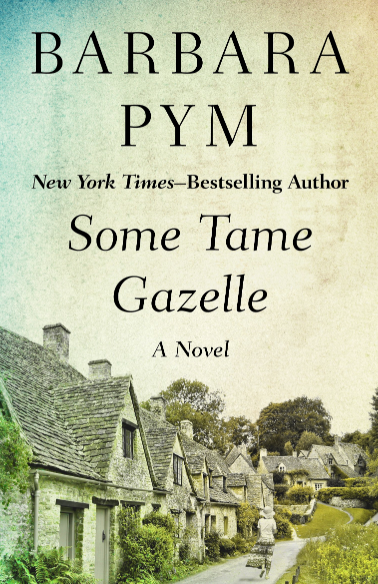 I read this several years ago–and agree it is a light and fluffy read–I actually don’t remember much about it, but sometimes you need a book to just consume and enjoy for its frivolousness. I had no idea that it had been made into a movie (must watch the trailer now). 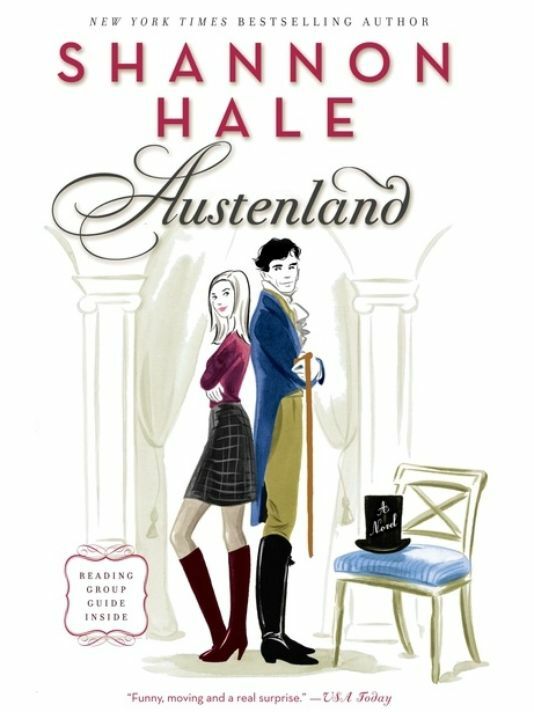 I tend to stay away from books that recycle Austen’s novels, but a friend recommended Austenland. I wonder if she/Austen’s novels is the one writer who has inspired the most re-writes? By the way–Persuasion is my favorite Austen–I really must reread it! It’s fluffy but it’s fun as well. I was in the mood for something like that. I wonder as well if there is any other author who ever inspired so many books. I’ve never really caught the Austen fever but Mansfield Park has triggerd it, I’d say. I wonder if Persuasion can top that. I’ve yet to read Mansfield Park–I think I liked Persuasion as the heroine is slightly older and has a second chance at love–I liked that–it appeals to me more now that I am older. I like the theme of Persuasion as well and I’m sure I’ll like it. I know most people don’t like Fanny Price but I don’t understand why. It’s quite Dickensian in a way. I’m not going to say too much but I really enjoy it. I’m not sure if you would like jane Austen. Maybe Emma. I am obsessed with Cillian Murphy (I am sure you already know 😉 ) … but he never becomes my setting bar for finding a boyfriend. That’s just silly. Yes, it is, but I think it happens to a lot of women. It’s more common than you’d think. I know. I have a friend like that. She really likes a Japanese drummer and often compares men to him. Her loss in the end because nobody ever looks like someone else. I’m glad to hear you liked The Jane Austen Book Club. A friend of mine with very similar reading tastes hated it, but I thought it sounded intriguing. Now I’ll give it a try. We saw previews of Austenland and it looked charming. The Jane Austen Book Club is better than this in my opinion but it was entertaining and I was just in the mood for something like that. I’m sure it will work very well as a movie. I’m sure I’d like this as I enjoy reading books for entertainment. Thanks for this, it’s nice to have books like this in stock for moments I want something good but not difficult. I’ve read The Jane Austen Book Club and liked it a lot. As I said to Carole, this one is not as good but it’s fun, just be prepared the ending is over the top. Reminded me of one scene in Bridget Jones (I guess it’s referencing that scene). It’s a quick read. I have a few books like this but when they are too long I lose patience. I don’t want to read more tan 200-250 pages of a book like that. If you know what I mean. It’s a good Beach and Public Transport book, no? Nice for a two hours TGV journey. It sounds fun but not remotely right for me. I’ll be writing up an Austen soon coincidentally enough, and plan to read more, but not any Austen pastiche. A nice contrast for the period by the way would be Patrick O’Brian’s Aubrey and Maturin novels. The first is Master and Commander (there’s a film based on it, but the film condenses the plot of several books into one movie and loses some coherence in doing so). They’re very well written and focus on the British navy of the time. Much of the humour of the later books comes from the contrast between how brilliant a commander Aubrey is at sea, and how lost he is ashore in what is after all essentially Austen’s world. On a more directly relevant note, someone I know once went to a dinner party with a friend of hers. She knew nobody at the party save her friend. They were all women. The conversation turns swiftly to Austen, at which point the woman I knew comments that she never really got on with Austen and doesn’t like her books, doesn’t rate them. Silence descends. Her friend hadn’t told her that everyone else at the dinner party had met through being members of the Jane Austen appreciation society. No, I agree, not a book for you. That’s a funny anecdote. I was like that not too long ago. I’d started with Nortnager Abbey and moved to Emma and both left me cold. I liked Pride and Prejudice a lot and hated Sense and Sensibility. It’s only now read Mansfield Park that I startr to get why people like her so much. I’m curious to find out which one you read. I’ve seen the movie Master and Commander and like it but never thought of reading the books. 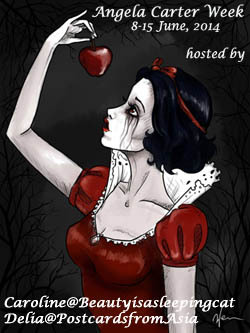 Maybe for my readalong next year. Pingback: Austenland: A Movie by Women for Women | Movies Are Fun! Glad to hear that you enjoyed this one. I am always a little wary too of any take on a classic. I did read one which I enjoyed, it was a retelling of Pride and Prejudice in modern day language, called Lydia Bennet’s Blog by Valerie Laws. I think P and P remains my favourite but I did like Mansfield Park a lot too, though it’s many years since I read it. I’m wary of that as well but in this case it’s even more about Austen fandom that about Austen although, of course she references the novels as well. I totally enjoy Mansfield Park. It’s very different from P and P but it’s good in a very different way. Thanks for the suggestion.